As I was scrounging around in my freezer this afternoon, to see what i was going cook for my son this evening, I realized that I still had a block of sashimi grade tuna from my last trip to Gensan/Sarangani. (Not to worry, this was bought way before the radiation scare. 🙂 ) I found tuna belly as well. Hehehehe.. That will be posted soon. Crispy tuna belly Sarangani Style. 😉 Yuuuum! I decided to make an appetizer for Andrew. 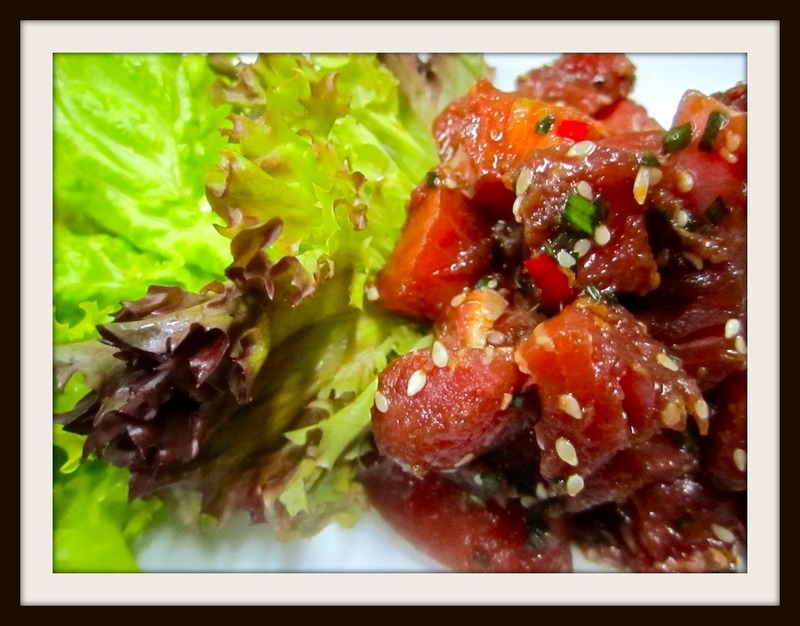 He’s been requesting for me to make something out of raw tuna, and this is what i came up with…. 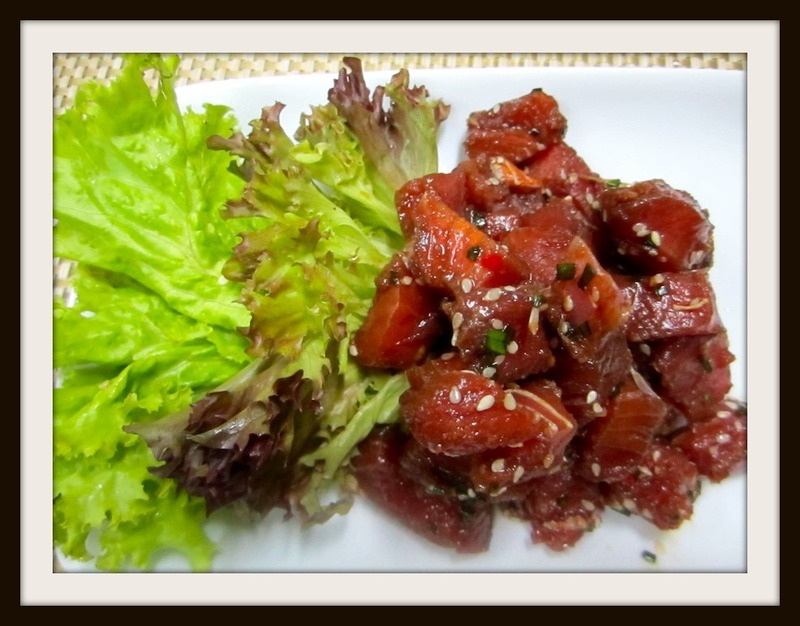 Ginger-Soy Tuna Tartare. First up…. get a fresh slab of tuna. (make sure it’s sashimi grade) These tuna packs have been blast frozen and are vacuum sealed to ensure it’s fresh quality. I should keep reminding myself to refrain from drooling over your food photos and reading your food posts at this time of the night. =/ Totally a bad the worst idea!